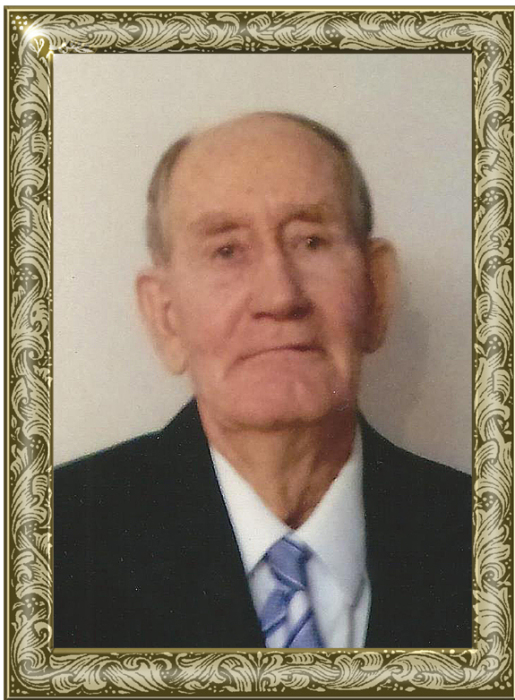 Mr. John D. Quillen, 85, of Fox Mountain Road, Hiddenite, passed away Sunday, January 20, 2019 at his residence. Mr. Quillen was born January 5, 1934 in Russellville, AL, the son of the late Hubert Quillen and Willie Mae Montgomery Quillen. He had worked in citrus processing for many years and was a member of Christ Gospel Church in Taylorsville. He was very faithful to the church. He loved to serve the Lord and loved his family dearly and prayed on his knees for them on a daily basis. John loved to build birdhouses, fish, and garden, he especially enjoyed growing his prize tomatoes. Including his parents, he is preceded in death by: his first wife, Mary Louise Quillen; a grandchild, Preston; step-son, David Gaskin; three sisters, Gertrude Lawson, Betty Jean May, Zammer Mae Quillen; a brother, Clayton Quillen. Those left to cherish and honor his memory include: his wife of almost 19 years, Evelyn Gaskin Quillen; four daughters, Carolyn Reaves of FL, Helen Holloway of FL, Gail Ingram of GA, Martha Crouse of FL; son, John Quillen of FL; step-daughter, Jana Baker and husband, Brian, of NC; step-son, Marty Gaskin of NC; 20 grandchildren; numerous great-grandchildren; two sisters, Martha Sue Wayman, Shirley Ann Sharp both of Rockford, IL; three brothers, Jerry Quillen and wife, Linda, of Moulton, AL, Terrell Quillen of Rockford, IL, Herbert Quillen of Decatur, AL. The funeral service will be held at 5 p.m., Thursday, January 24, 2019 at Adams Funeral Home Chapel in Taylorsville, NC. Revs. Elaine Clontz and Don DeGrate will officiate. Burial will be at Dade City Cemetery at a later date also a service will be held at Hodges Funeral Home in FL at a later date. The family will receive friends from 4 -5 p.m., Thursday, January 24, 2019 at Adams Funeral Home in Taylorsville, NC. Funeral service in Dade City, FL will be at 11 a.m., Monday, January 28, 2019 at Hodges Family Funeral Home in Dade City. Rev. Carl Hart will officiate. Burial will follow in the Dade City Cemetery. The family will receive friends one hour prior to the service. Memorials may be made to: loveachild.com, Missionary Ministry to Hatti, Bobby and Sherry Burnette, Missionaries, 12411 Commerce Lakes Drive, Ft. Myers, FL 33913. Adams Funeral Home and cremation services is honored to be serving the Quillen Family.